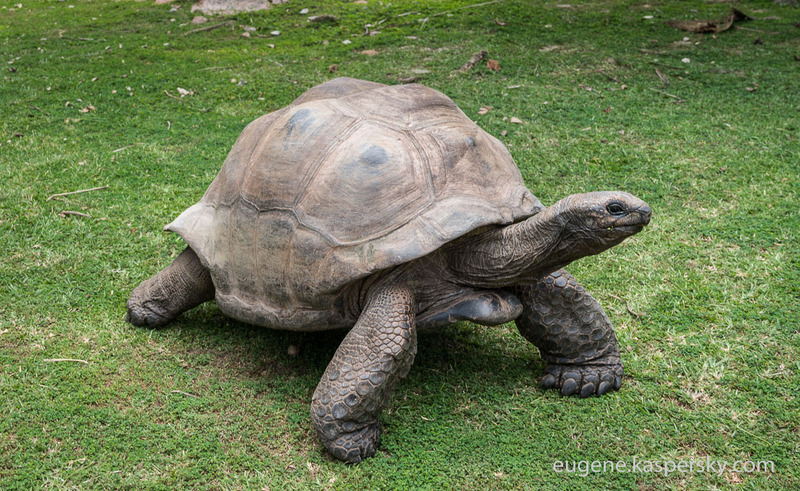 So, these fine reptiles these days inhabit different islands – from Zanzibar to Curieuse, but they all originally came from Aldabra. So, that means the atoll on which these land-based (remember – these are tortoises, not turtles) endemics live sinks and reemerges every 300,000 years or so? If that’s the case, how on earth do these non-swimming tortoises survive each time? Maybe in some bizarre Darwinian twist they foresee global warming, learn to swim, and off they paddle? But if that’s the case why does this endemic only live around here – on the islands, never venturing into the ocean? So yeah. Another one of those mysteries. But oh such a curious one! It turns out this species of tortoise boasts rather unique behavioral mechanisms to regulate its population. In times of high-density population the female lays just four or five eggs once every several years. While in times of low-intensity population – it lays up to 14 every year! I really do need to study the mysteries of the Aldabra further. I really am fascinated, as you can probably tell. When I do, you’ll be the first to read about my findings – right here. 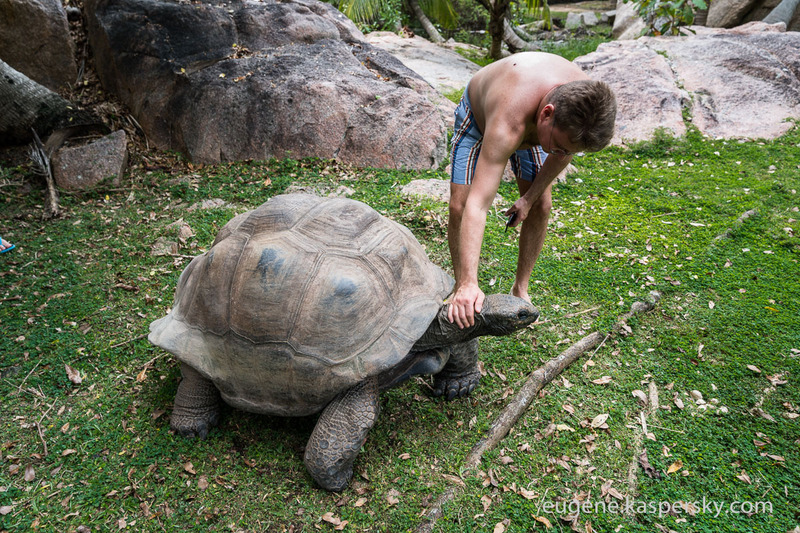 Btw, if you stroke one of these tortoises on the neck they just love it. They even stand up on their hind legs and stretch their necks out and beg for more!! But the main question remains: how do they survive once their habitat is submerged under the ocean for hundreds of thousands of years? I wonder – might you know?